Three favorite things about Christmas! I Love that my Mum manages to find new Christmas themed earrings each year to go with her daggy Christmas t-shirt. I love that my Dad still dresses up as Santa to hand out presents, even though I’m 34 and Santa’s belt no longer fits around his belly! and I love having all my favourite people under one roof, sipping on French champagne and cocktails long into the night. So come on down to Northern Regards Artisan Market on Saturday 14th December from 11am til 4 at Northcote Social Club and grab a Jean and Ivy original for someone special this Christmas. 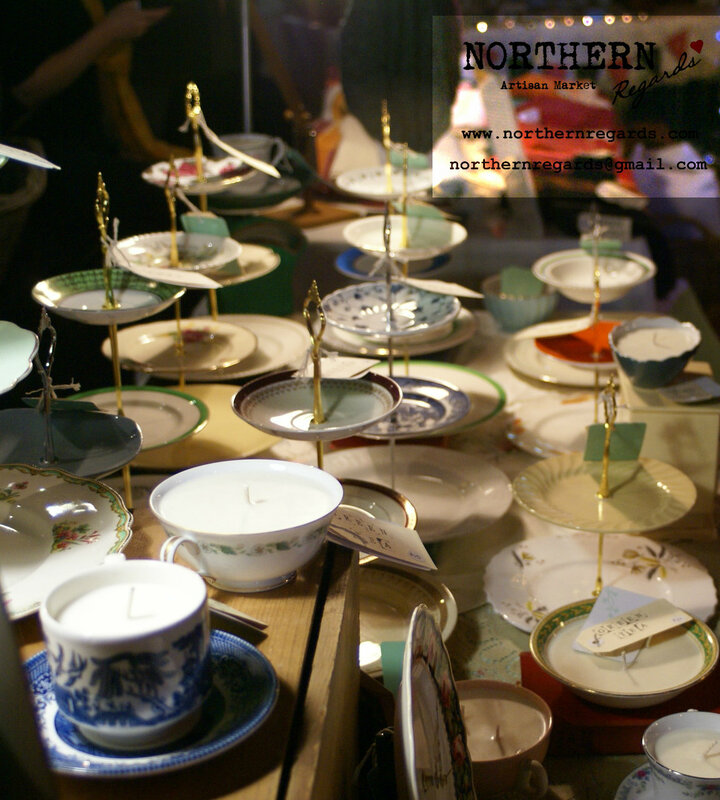 Northern Regards Artisan Market. An Atmospheric Artisan Market in Melbourne’s North….with beer ! This entry was posted in Uncategorized and tagged Artisans, cake stands, candles, clocks, December 14th, Handmade, Jean and Ivy, local, market, Melbourne, Northcote Social Club, Northern Regards Artisan Market, recycled, Sustainable, upcycled, Vintage, vintage plates. Bookmark the permalink. To be absent friends ❤️ May 2018 be a safe, happy and creative one. ‘Kate’s Market’ – in the press! Kate’s Market……time to gather once again. It’s our SECOND Birthday !